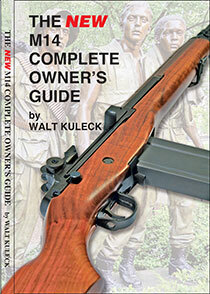 The NEW M14 Complete Owner’s Guide – How to select, configure, operate, maintain and upgrade your own M1A or other M14-type rifle by Walt Kuleck. WHY A NEW M14 COMPLETE OWNER’S GUIDE? This book is the latest volume in the Scott A. Duff Publications’ Guide series. 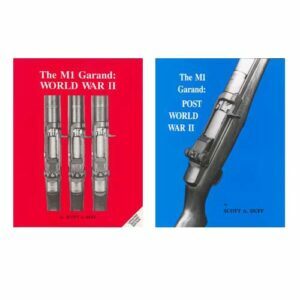 The NEW M14 Complete Owner’s Guide is like the other Guides; its purpose is to give the new M1A or M14 owner a head start towards an in-depth understanding of the history, operation, maintenance, upgrading and use of his or her rifle, while providing the experienced owner knowledge that they don’t yet have, with the intent of giving even the expert new insights into the M14-type rifle. 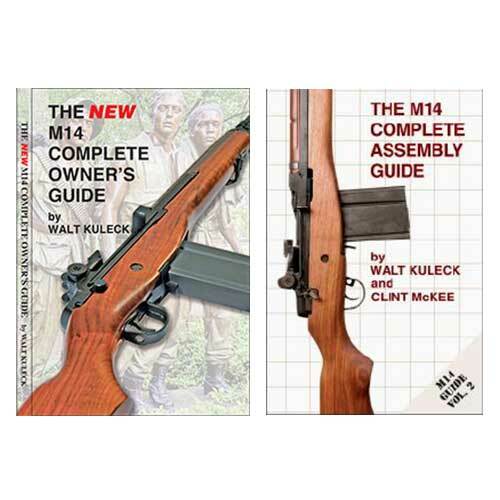 The M14 Complete Assembly Guide – The key to support and maintenance of your M14/M1A Rifle by Walt Kuleck and Clint McKee. 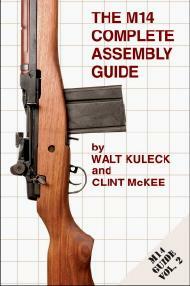 – The key to support and maintenance of your M14/M1A Rifle by Walt Kuleck and Clint McKee. 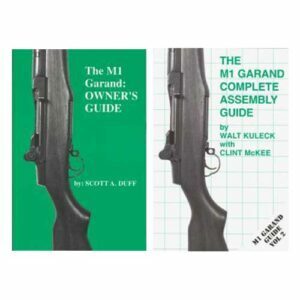 Since the publication of Scott Duff and John Miller’s The M14 Owner’s Guide and Match Conditioning Instruction, readers have asked for a book that would help guide them through the maintenance, enhancement, disassembly and assembly of their M14/M1A rifle. Ideally, such a book would impart the tips, tricks, pitfalls and “gotchas!” that experienced M14/M1A rifle enthusiasts and armorers have discovered and developed over the years. This is that book. 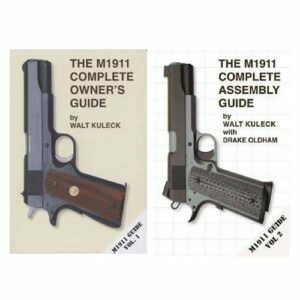 It goes far beyond the military manuals in depth and scope, using words and over 600 pictures to clearly guide you through every operation required to support your M14/M1A.